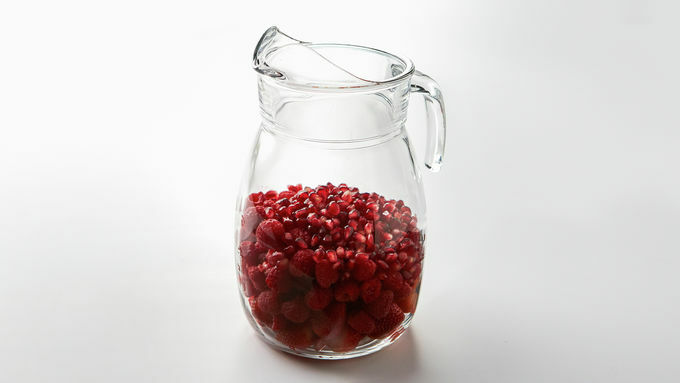 Add raspberries, strawberries and pomegranate arils to a large pitcher. If using, sprinkle sugar over the fruit. Add Chambord™, St. Germain™ and rosé wine. Let sit for an hour in refrigerator. Stir in sparkling water just before serving. Serve chilled. 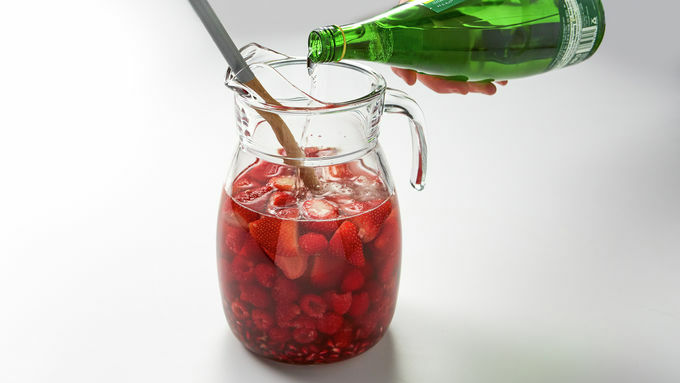 The longer you soak the fruit, the more flavorful your sangria will be. 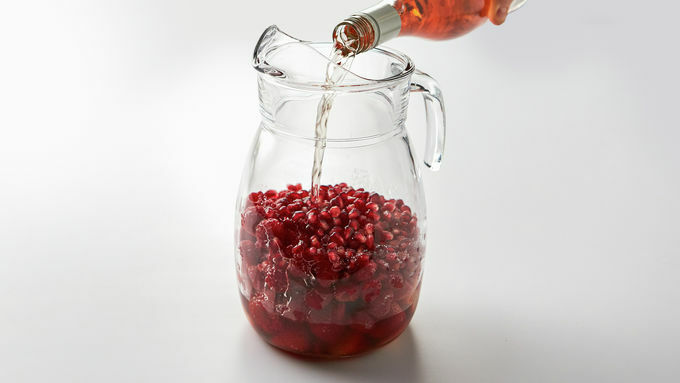 Want to enhance the fresh fruit flavors even more? 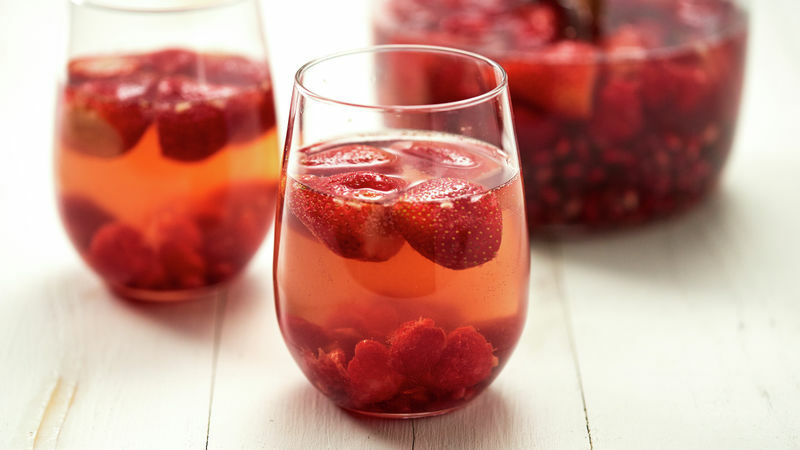 Use a muddler tool or sturdy wooden spoon to break up the berries before soaking them in the rosé wine and liqueurs.